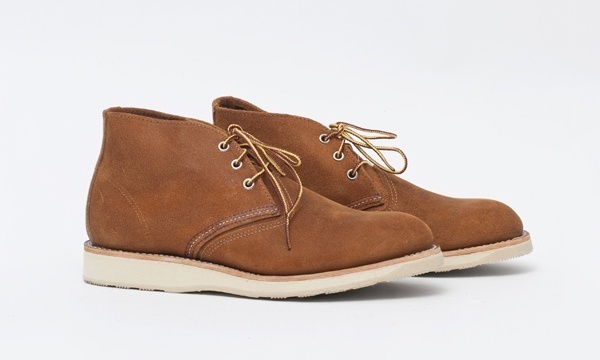 Red Wing Shoes has crafted this brilliant brown suede chukka, perfect for the dying gasps of fall. Made in the USA of a deep brown, warm colored suede, and featuring hiking laces and a Goodyear welted vibram sole, you can pick these lovely chukkas up online now. Pair with a deep plaid shirt, and warm lined khakis for a classic fall look.